Make a great quilt for the true Die-Hard Fan in your life. Using logo'd fabrics and coordinating colors, you can quickly make the quilt. Add the team letters or name at the bottom for a personal finishing touch. 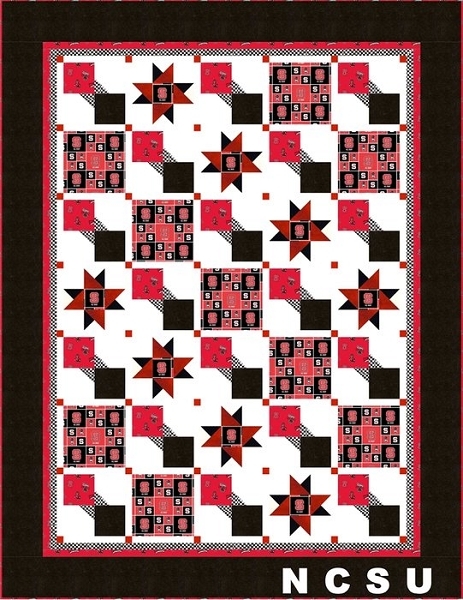 Instructions are provided for a twin (67" x 87"), queen (87" x 97", or stadium size (67" square)quilt.